Palm reading is an ancient art that can be traced back thousands of years to India where it was rooted in Hindu astrology and first mentioned in the Chinese book the I Ching. From there it spread all over Asia and Europe, even Aristotle took an interest in it, passing the knowledge on to Alexander the Great. He used it often to judge the character of his military officers by closely reading their palm lines. It must have helped him because in 15 years of nonstop conquest he never lost a single battle. Palmistry has since endured throughout the ages, these days most people view it as pseudo-science and dismiss it as superstitious beliefs. Part of why people are skeptical towards it is that they don’t truly understand it and only know what they see in the media where it has been wrongly portrayed in the many books, films, and TV shows that touch it. If you’re further interested in the subject, this video does an excellent job at describing what the main lines and patterns on your hands signify and how to read your palms. 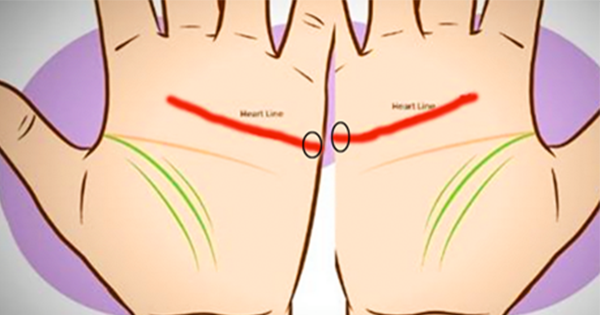 One specific attribute that people often wonder about is the appearance of the first major line on their palms, located right below the base of the fingers. This sharp crease is known as the line of marriage because it can reveal a lot about an individual’s relationships and future love life. You can read your own line of marriage here and now, without going to a palm reader, by simply placing your hands together side by side. See if and how your lines of marriage match up, then read about what that means below. If the lines are the same exact height it signifies that you are a calm, gentle, nurturing person with a solid head on your shoulders. You strongly dislike abrupt, disruptive changes and are most likely to marry a partner who your friends and family like and approve of. If the line on your right hand is higher than the one on the left it means you are wise beyond your years and are drawn towards older souls. You are free and unconcerned about what others may think of you and see things and people for what they truly are. You don’t follow society or others expectations of you and it’s likely that you might choose an older partner to settle down with. 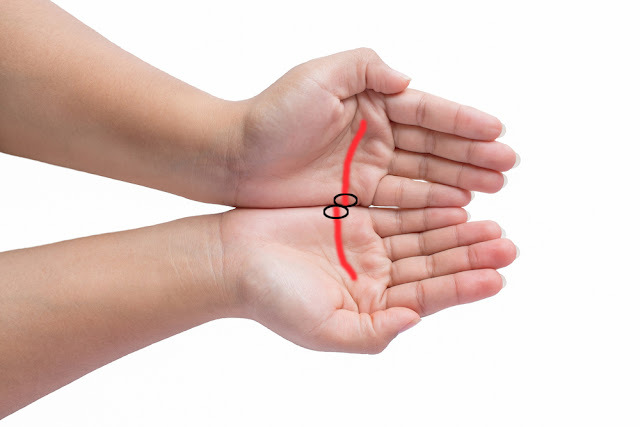 If the line on your left hand is higher than the one on the right it means you are strong, self-assertive, and enjoy facing tough challenges head on. The love you want, need, and search for is passionate and torrid. As such, you are attracted to good looking people and chances are you may end up with a younger student or an exotic foreigner. It’s all very fascinating to know that there are hints buried in the palms of your hands which can reveal hidden truths about what your future holds. There’s a lot of great information and many more details covered in the video, so check it out and then take a moment to look down at your palms. Closely examine them for how your lines of marriage match up and see what that means. Share this with friends and family, then try reading their palm lines. It’s really fun and you may just learn something about them!